I have a love-hate relationship with waffles. Love because um... waffles are delicious. 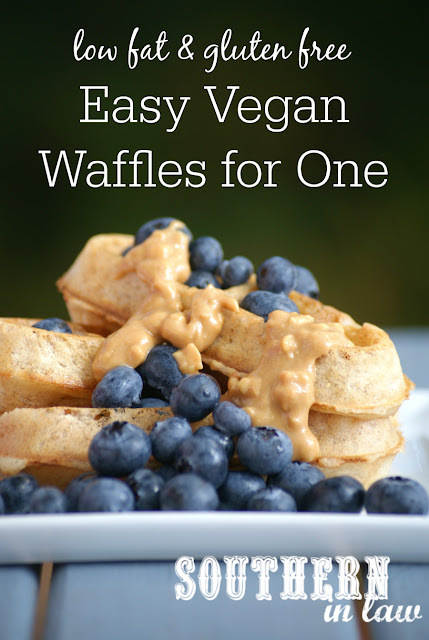 Hate because I've always struggled to come up with the perfect recipe - or I have come up with the perfect recipe but it either involves way too many steps or it makes way too many waffles and by the time I'm on my third batch of waffles I'm fed up and have decided pancakes are way easier instead. Well, at least I used to... until coming up with this recipe. That's it! I'm conquering the waffle world. I was on a mission. I wanted to create a killer waffle recipe that was not only gluten free but also vegan, healthy and allergy friendly (that meant egg free, dairy free, nut free, soy free and low fat to) and because I wanted to make it even more of a challenge, I decided these waffles also needed to be made in one bowl - and the end result needed to be crunchy on the outside whilst fluffy on the inside. 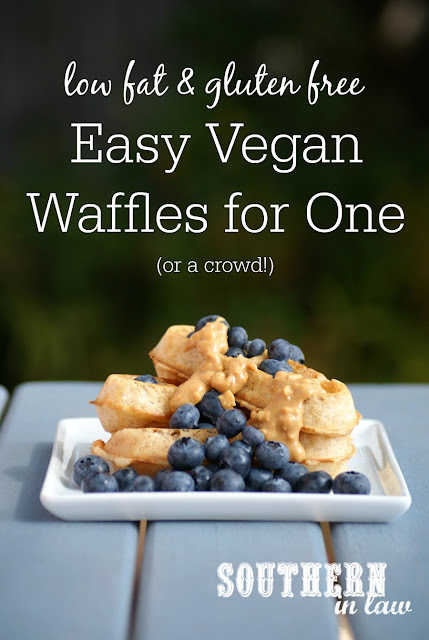 It was a bit of a challenge and it involved quite a lot of mess and a few batches of fails, however, what I created in the end was THE BEST Vegan Waffle Recipe... actually, the best waffle recipe in general. 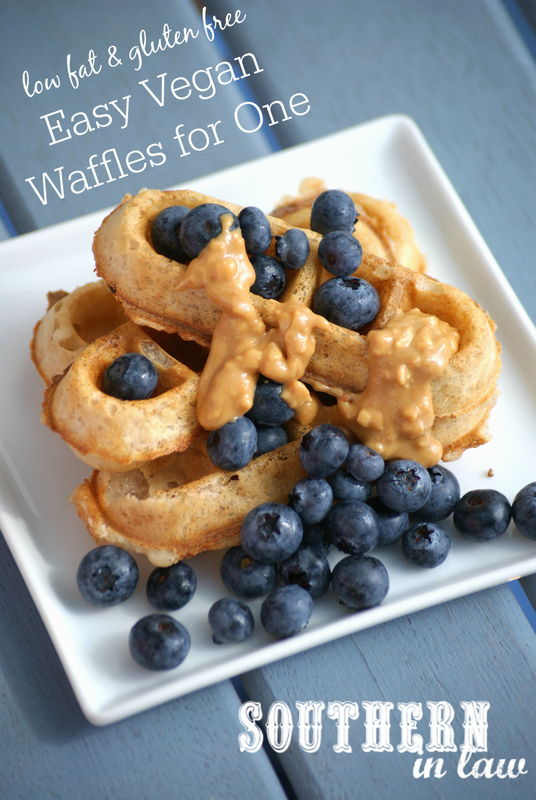 These waffles are not only delicious, but SO easy to make! The longest part of the recipe is waiting for them to cook - but even that will only take 4-6 minutes! Before you know it, you'll have a plate of delicious waffles to devour... and smother in toppings, of course. I mean, aren't waffle wells supposed to be peanut butter baths? Mix together all of your batter ingredients in a medium mixing bowl, mixing until combined (there will be a few little lumps but it's okay!). Spoon your waffle batter (it will be quite thick) into your waffle iron, according to manufacturers instructions (I use about 2 tbsp mix per waffle stick - you want to cover the bottom well but not overfill them). Cook for 4-6 minutes for waffle sticks or as per manufacturers instructions (every waffle iron is different so play around with the timings - mine needed 1 minute less than the manufacturer's instructions). Take out your waffles once they're crisp on the outside and cooked through by carefully running a knife around the edge and popping them out. Serve immediately with toppings of your choice or allow to cool before storing in the fridge or freezer and reheating and/or defrosting to enjoy later. These waffles will keep in the fridge for 2-3 days and can be reheated in the waffle iron or oven to crisp them up or enjoyed cold. But tell me, is there a food/recipe you have a love-hate relationship with? Or a food you wish was easier to make at home? 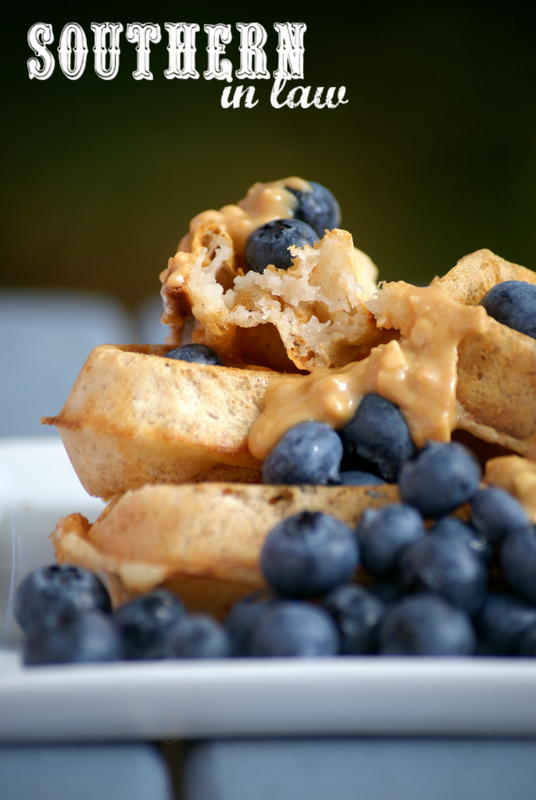 What would you top these waffles with?